I just got an IRS scam phone call from India. Who do I report it to? A lot of my clients are getting these scam phone calls. Even my 19 year-old son has gotten two on his phone this month. Yes, you can report them. 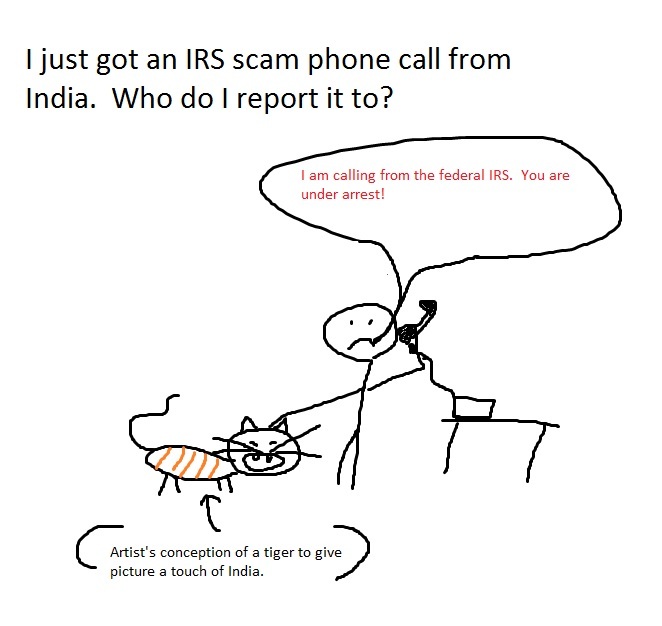 Simply put, send an email to the IRS with the phone number of the scam collector. You can send it here: phishing@irs.gov. Even better, the IRS has set up a special form for I.R.S. Impersonation Scam Reporting. Fill it out, and hopefully they’ll be able to shut the number down. What’s sad is that the calls continue. Scam Phone Calls Continue; IRS Identifies Five Easy Ways to Spot Suspicious Calls. If you get one and are worried about it, give me call. Hopefully we can go over it together and put your mind at ease. This entry was posted in Utah Bankruptcy on October 20, 2016 by robertspaynelaw. 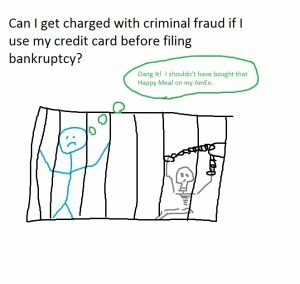 Can I get charged with criminal fraud if I use my credit card before filing bankruptcy? It’s possible, but very very unlikely. 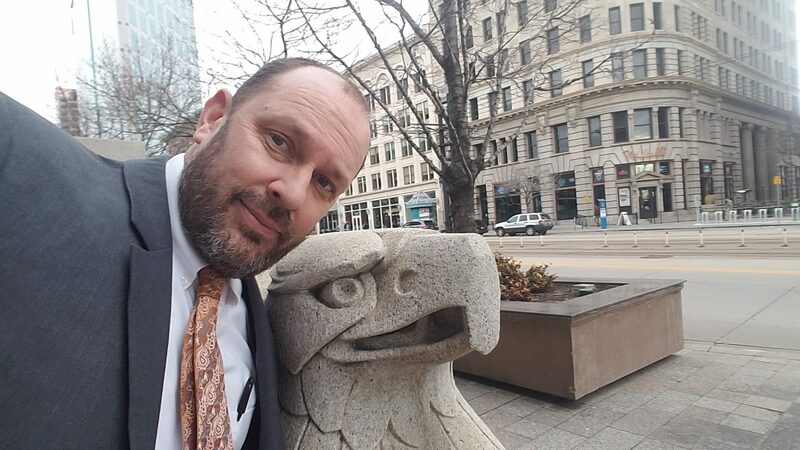 I’ve filed over 2,000 bk cases under my name, and as far as I know, I’ve only had one client get charged with fraud for financial actions he took prior to bankruptcy. He took $120,000 of someone’s life savings and invested it poorly. When the investor emailed my client asking about the status of his money, my client responded via email, “I blew it on candy and a trophy bride here in Costa Rica.” Things did not go well for my client when the investor contacted the U.S. Attorney’s office and presented them with this written accounting from my client. However, that’s a pretty extreme example, and I didn’t know about it at the time I filed his case and honestly try to avoid cases which might get scary. Today a potential client asked me if his charges on an American Express card two months ago could result in a criminal fraud complaint against him. I told him probably not, but his case was a little unique. I sent him to another attorney who is better with questionable fact patterns like that one. Normally, there is no fraud because no one wants to go bankrupt, and no one tries to plan out the perfect way to charge up credit cards before filing. If you do, the creditor can sue you to make you pay it back in spite of the bk: If I use my credit card right before I file bankruptcy, can they object and throw it out? So it is possible, but in my experience, criminal charges are very unlikely unless you’ve done something truly awful and outrageous. 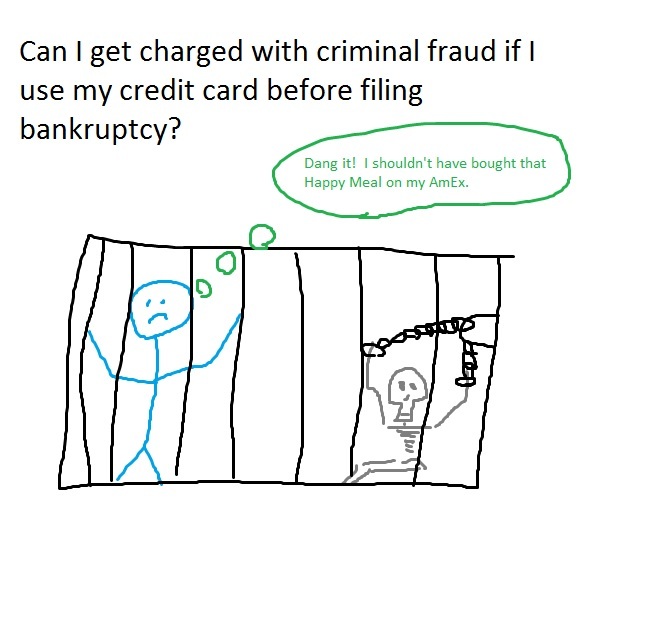 Charging groceries on your credit card 2 weeks before you meet with me to discuss bankruptcy isn’t going to result in jail time. This entry was posted in Utah Bankruptcy on October 13, 2016 by robertspaynelaw.